To many people, Japan seems a strange and unknown land. But nothing is more assuring than its hotels where the consummate grace and practised politeness of customer service is rooted in the country’s culture. The Park Hyatt, the location for the film Lost in Translation, begins on the 41st floor of Shinjuku Park Tower and climbs steadily upwards to a rooftop swimming pool. Bicycles are available, complete with maps, packed lunch, safety helmets and water, for a spot of urban adventuring. The lunch buffet in the New York Grill is laid out on what at night becomes a bar counter, the one where Bill Murray sighs until Scarlett Johansson lightens up his soul. Filming took place daily from 2-5 am and hotel guests had no idea what was happening. 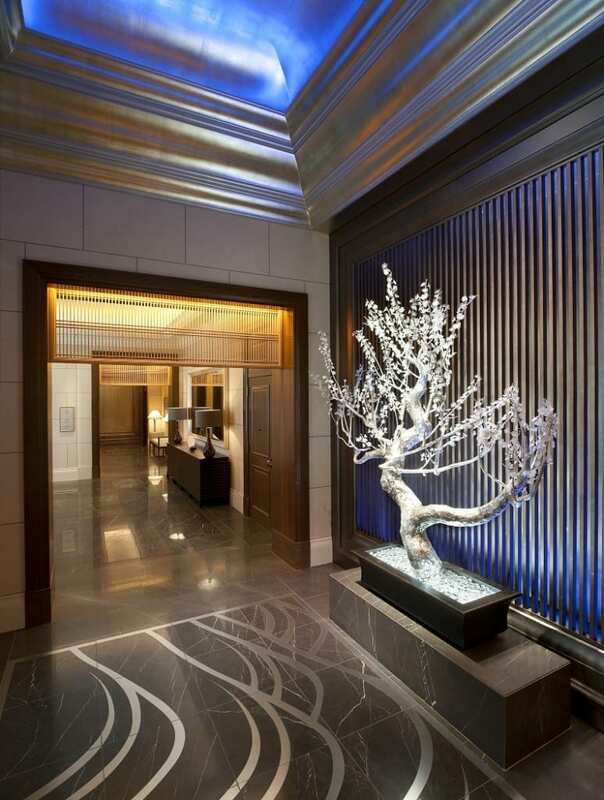 The 290-room Palace Hotel combines traditional Japanese style with modern luxury. The ground floor is the hub with an all-day restaurant and the Royal Bar when suits puff at cigars over glasses of Suntory. Privé on the sixth floor is a chic, airy lounge bar with an outdoor terrace and views of the Imperial Palace gardens. Of the restaurants, Wakadura is super cool with a waterfall and Japanese cuisine to die for. The attractions and wonder of Keio Plaza Hotel are many: Shinjuko railway station, the metro and an airport bus stop are outside; great choice of room types and sizes to suit your budget; an astonishing range of two dozen restaurants and bars; with 47 floors and nearly 1500 bedrooms you enjoy the synchrony of anonymity and five-star service. My kind of hotel. 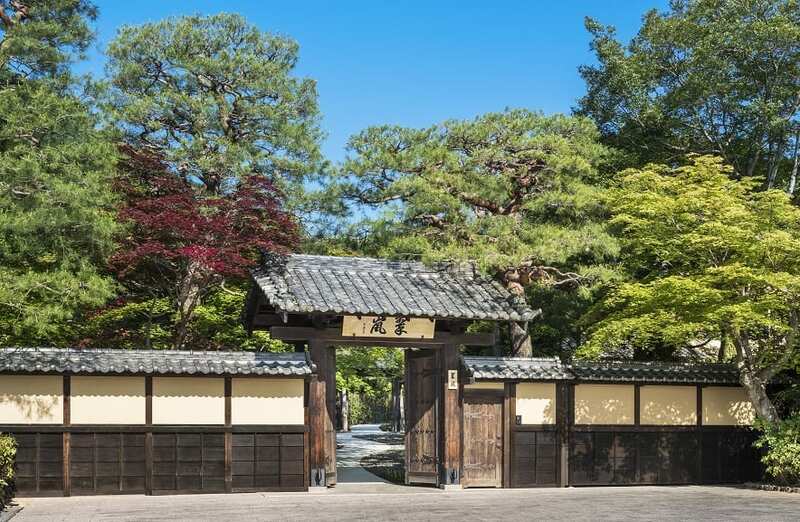 Sooner or later Tokyo’s urban intensity brings sensory overload and the antidote is the Chinsanzo Hotel, set in 17 acres of landscaped gardens outside the city centre. Formerly the Four Seasons Hotel, it has the city’s largest fitness centre, a dozen restaurants and spacious low rise rooms with calming views over the gardens. If you’re in Tokyo then a bullet train to Kyoto is an attraction proposition but the city is a hugely popular destination and this has its tacky side. The kimono-clad women you see are not Japanese traditionalists but tourists from China who hire the costumes for the day. So if somewhere quiet to stay, away from the tour coaches, is a priority then the classy Ritz Carlton is your ticket. Situated on the banks of the Kamogawa river with views over the mountains beyond, the hotel is subject to the neighbourhood’s building height restrictions and with only five floors it doesn’t look like a hotel until you reach the entrance. The waterfall flowing down the stone wall and a large bonsai tree is the first hint of elegance and much else. The green-tea themed spa treatments are original and the Italian-style La Lacanda restaurant is a must for that moment on your trip when a break from eating Japanese is demanded. 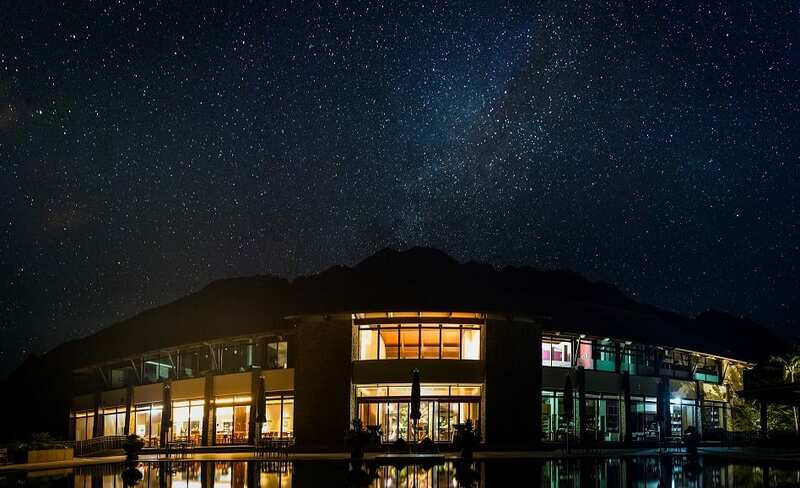 On the other side of town, the 39-room Suiran is a part of Starwood’s Luxury Collection but instead of swank there is subtlety: beautifully laid out gardens, river and mountain views, gorgeous rooms. The hotel has incorporated two much older buildings into its complex and has a country-inn appearance with patterned roofs, bamboo fences and cleverly placed water features. One of the older buildings, a former country house, has been converted into a restaurant which serves a kaiseki dinner in traditional style. The scene outside the windows — a garden and the mountains beyond – would not be out of place in a silk-screen painting. The bustling city of Osaka is further south, a busy metropolis, and business centre and anyone finding themselves there is in for a treat. The shopping complexes seem to go on forever and you need a ball of string or breadcrumbs to find you way back to your hotel. In this case the hotel in question should undoubtedly be the St Regis with its butler service for each room, bathtubs with bird’s eye views of the city and the snazzy La Veduta restaurant with gigantic chandeliers. Not part of the usual tourist trail, but good fun nevertheless for its yatai (food stalls), beaches overlooking Hakata Bay and great shopping is Fukuoka. Japan Air Lines flies there from Tokyo and being a transport hub Fukuoka makes a good base for exploring southern Japan. In the city itself, the Hilton Seahawk sits on reclaimed land looking over the beaches and the bay beyond and is a model of futuristic design. In sharp contract is With the Style, a tiny boutique setup with tropical plants leading you into a club-like atmosphere. Rooms have balconies overlooking a courtyard, bedroom accessories include an iPad and, wait for it, alcoholic drinks in the upstairs lounge area are complimentary. 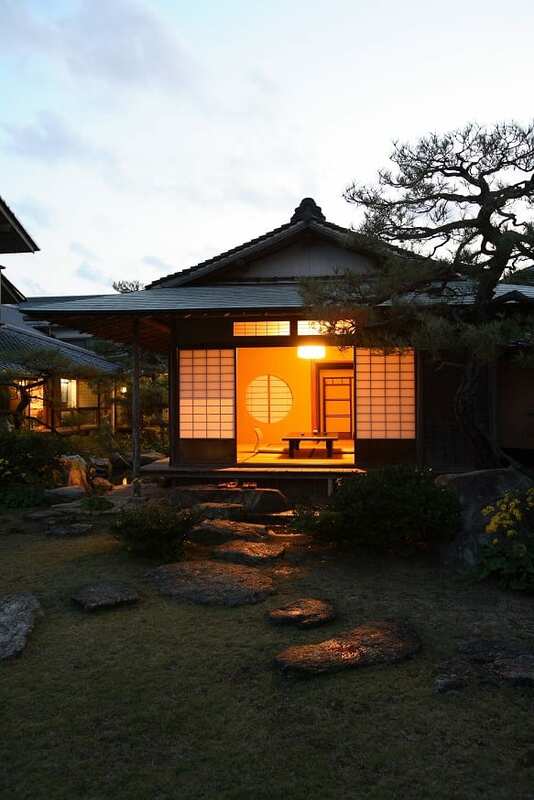 One night has to be spent in a traditional Japanese inn or ryokan and one of the best is found in Karatsu. A hour by train from Fukuoka brings you to this pretty seaside town. Here is Yoyokaku, an inn which has been in the Okochi family for generations, set in an intricate Japanese garden. Greeted at the entrance by staff wearing traditional dress and looking comfortable in it, you are escorted to your room where a low table is set out for tea. 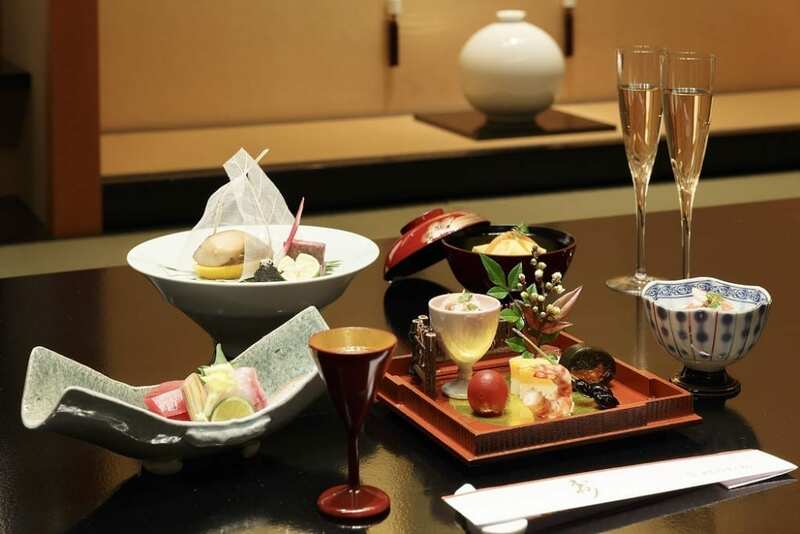 In the evening a kaiseki meal is served in your room and later a futon bed on the tatami mats is prepared for you. Karatsu is famous for its exquisite pottery and a local potter and his family have their work on show and for sale in Yoyokaku. A flight from Fukuoka with budget Peach airline brings you to Okinawa, a subtropical island with a very different culture and climate to the rest of Japan. Hyakuna Garan, a new luxury hotel with only 16 rooms, takes half an hour to reach from the airport along tiny winding roads, through sugar cane fields by the side of swaying palm trees and tiny farms. The hotel sits on the edge of a beach, all its rooms having balconies and bathrooms overlooking the sea. Huge banyan trees sit at the centre of the hotel. On the top floor is a series of private rooms with open air baths where you can slosh about while seabirds watch you. The design of the place is beautiful with local limestone walls, pretty gardened areas and tatami rooms for yoga sessions. The island of Yakushima is also reached by an internal flight from Fukuoka with Japan Air Commuter, and this is a place where few British visitors are to be seen. Largely undeveloped, it is home to thousand-year-old Japanese cedars and walking trails which range from a stroll to all-day treks to see remarkable trees. The special place to stay is Sanakara, a resort spa hotel set high above the sea with lovely views over the coastline. Rooms are little cottages with huge beds, a daybed, seating areas, lovely homemade teas and natty bathrooms. An open air pool graces the main building while two restaurants, both with a French inflection provide breakfast and dinner.